I used to go this area very often, and hadn't been here in a while. 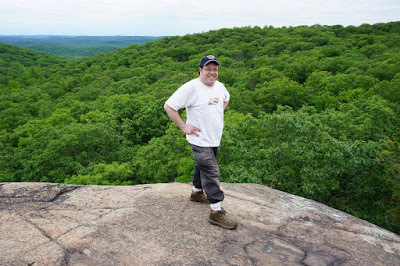 It was in the mid-70's and perfect weather for a hike. 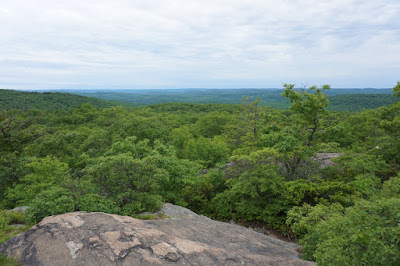 The day had started bright and Sunday, but clouds rolled in as soon as I started hiking, and it rained steadily shortly after completing the hike. 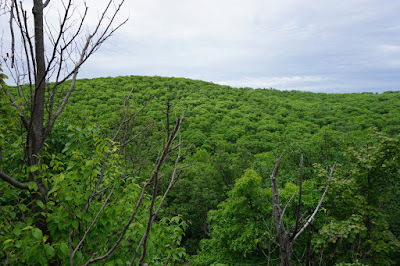 I parked at the Reeve's Meadow Visitor Center, and was lucky to find a spot not too far out, as it's quite busy here on weekends. 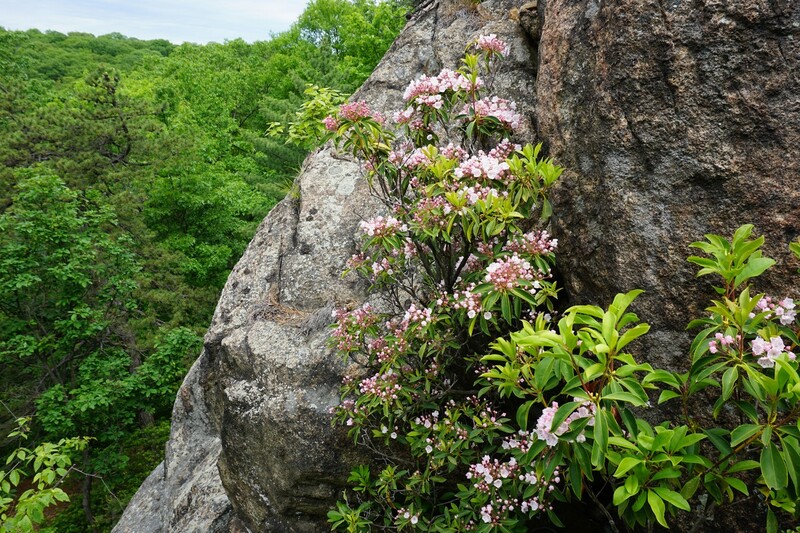 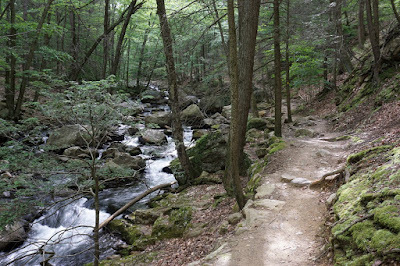 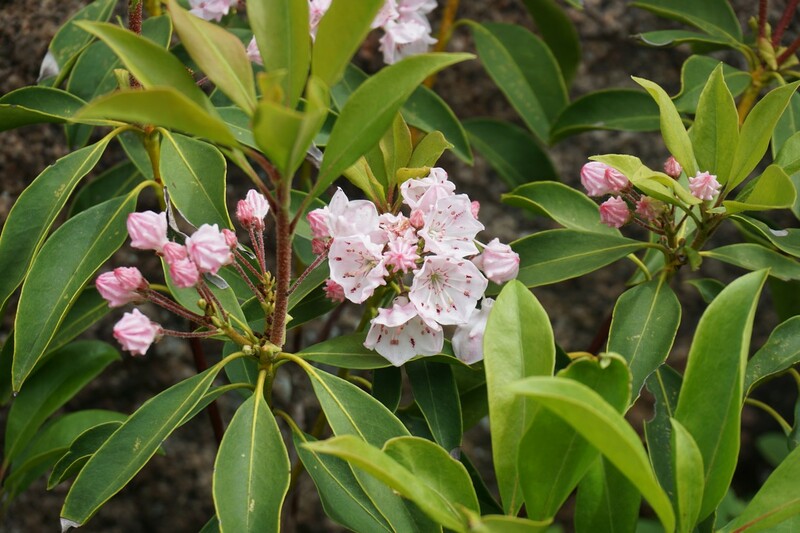 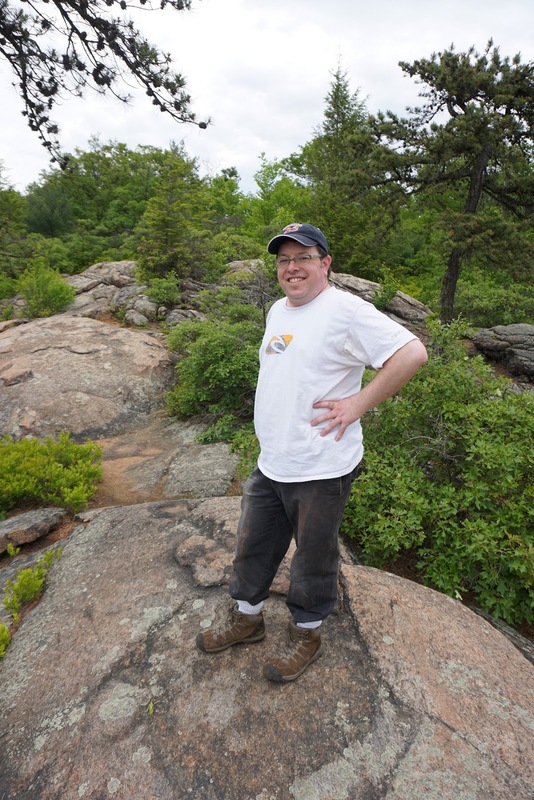 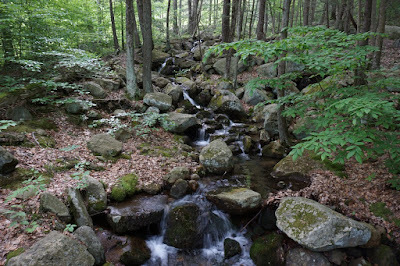 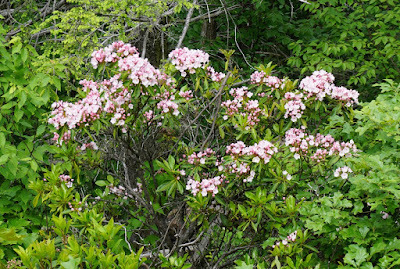 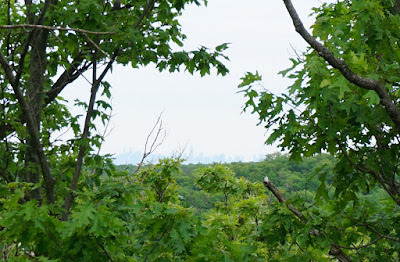 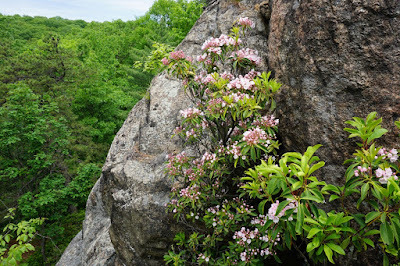 I walked along the Pine Meadow Brook on the Pine Meadow Trail to the Stony Brook Trail, and then to the Kakiat Trail. 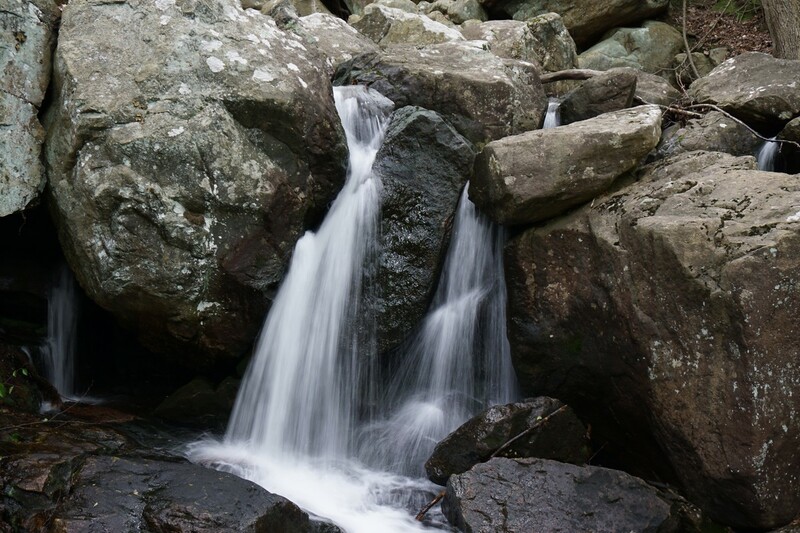 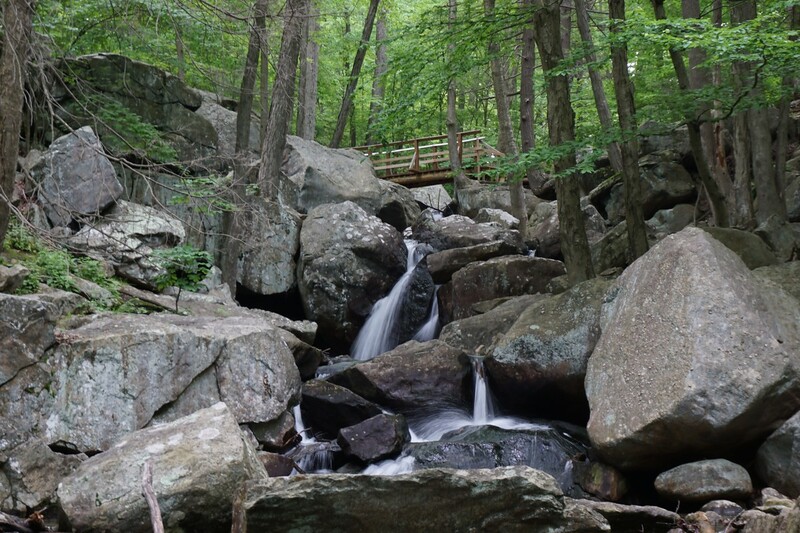 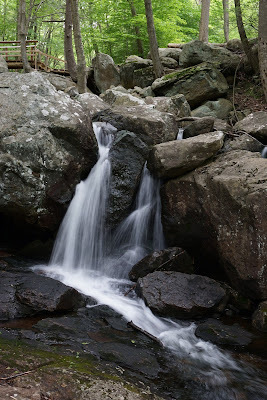 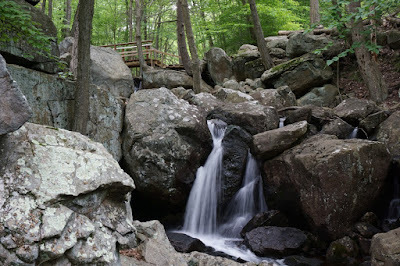 There had been a lot of rain recently, so the Pine Meadow Brook and Stony Brook were flowing very strongly, and the Cascade of Sid waterfalls was more impressive than usual. 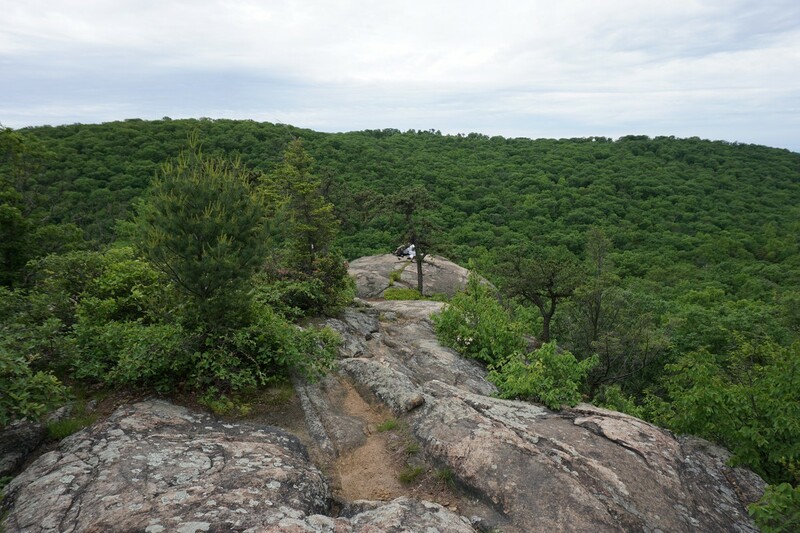 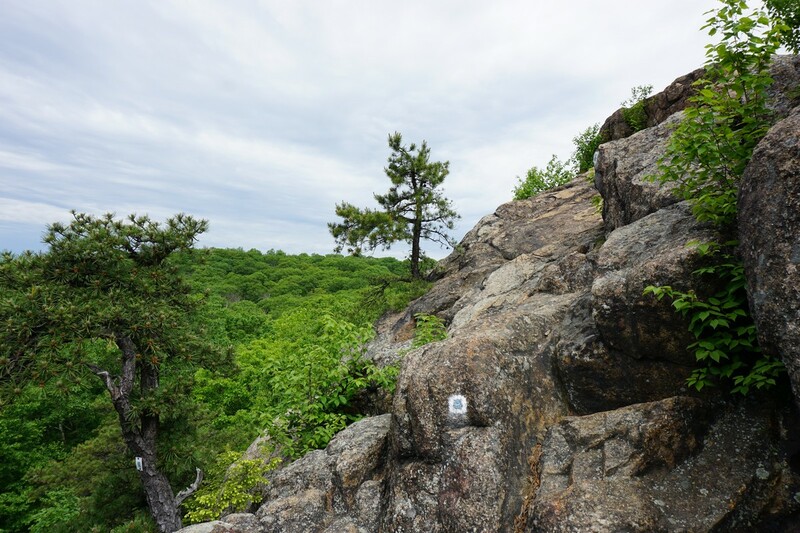 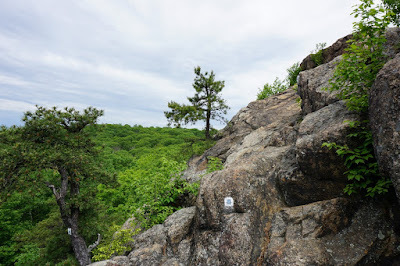 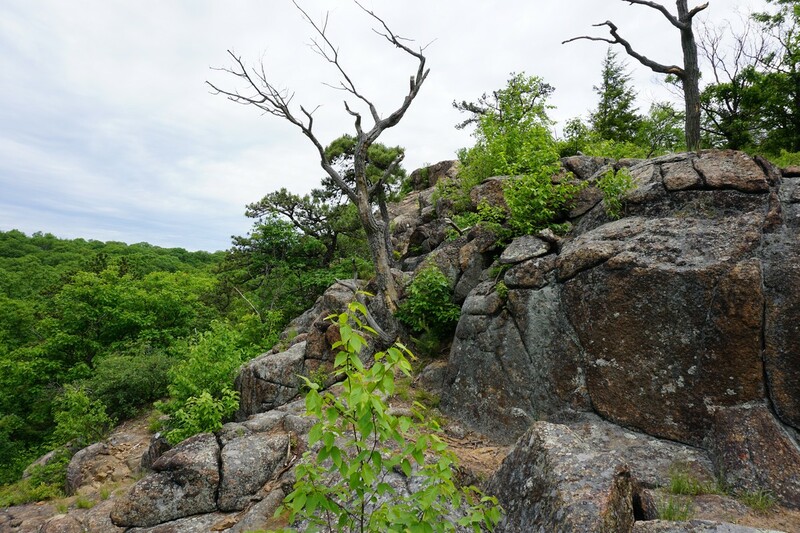 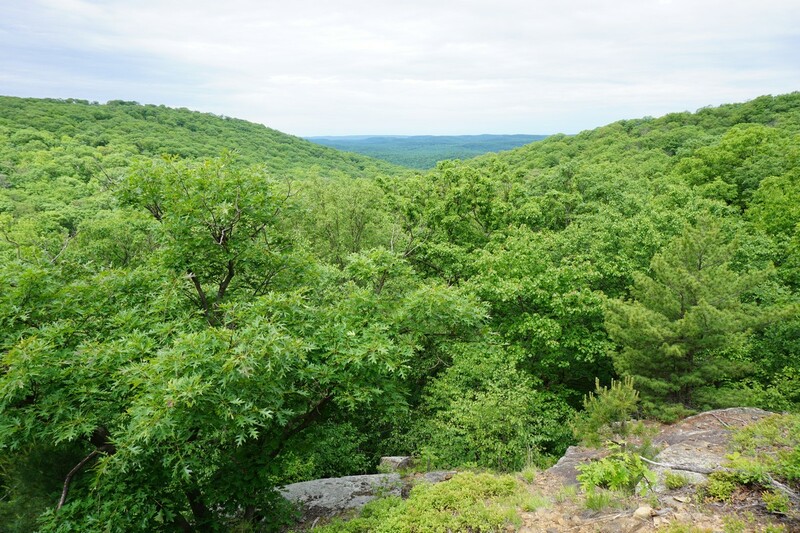 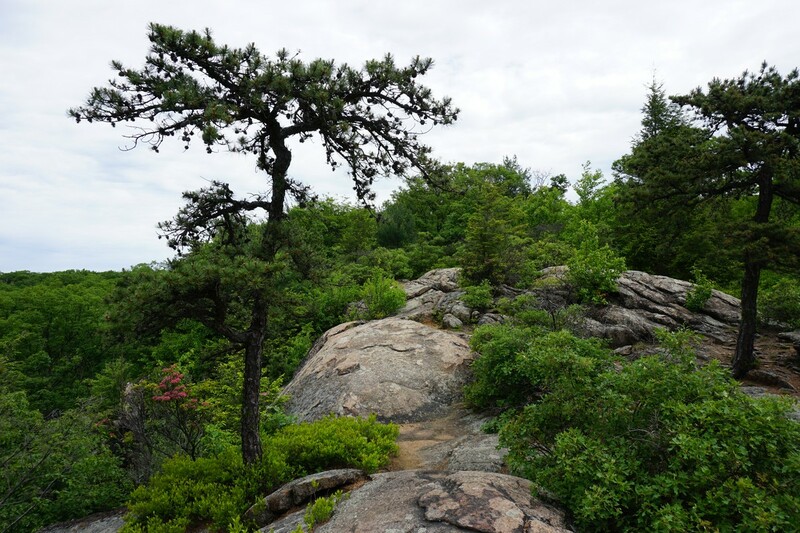 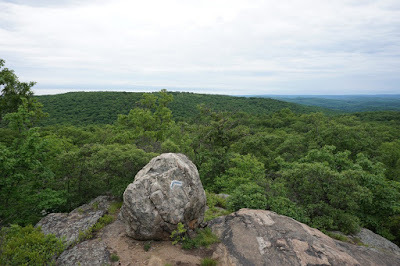 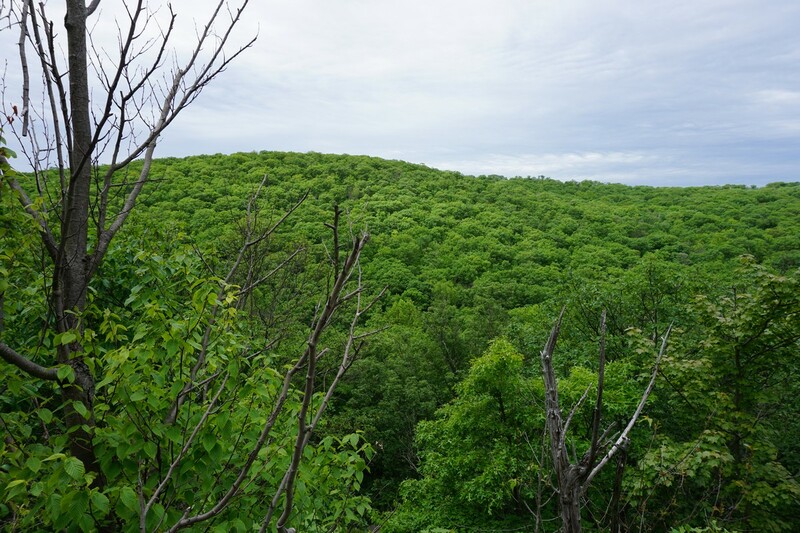 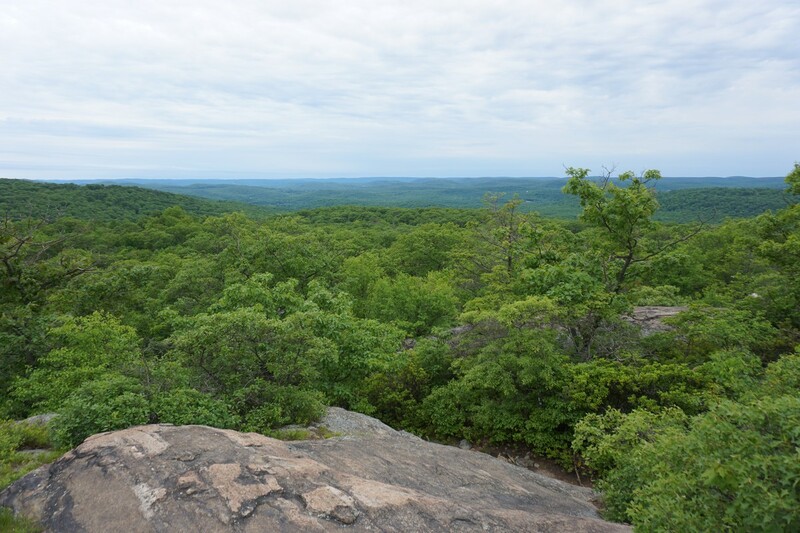 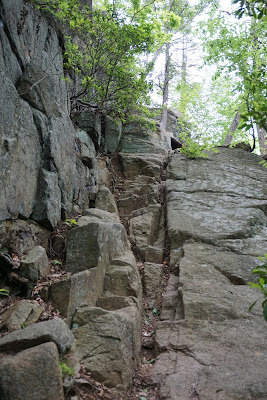 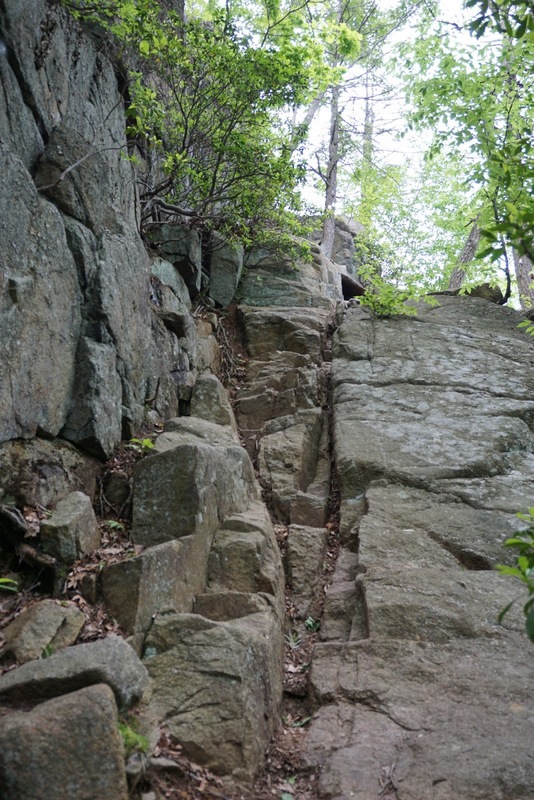 I continued along the Kakiat Trail to the 7 Hills Trail, and took this trail north for one of the best scrambles in Harriman State Park, up Diamond Mountain. 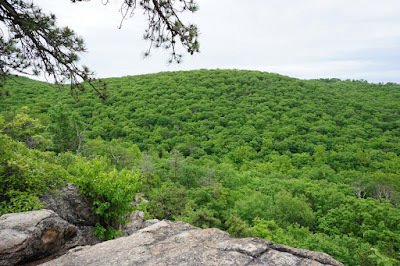 Aside from the scrambles there are many excellent views here as well. 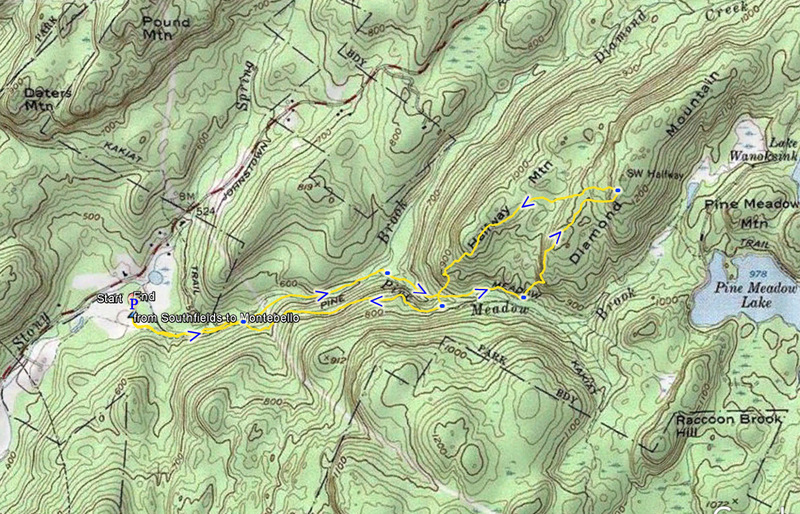 I then took the HTS Trail heading back, and then went down and back towards the Pine Meadow Trail. 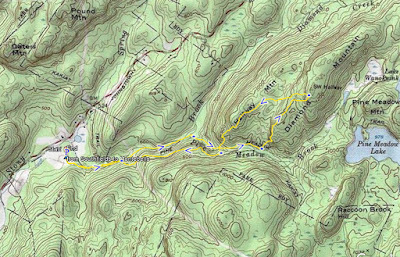 I then took the Pine Meadow Trail back to the parking area.